Brands should know the passion points of Hispanic culture — music, family, food, traditions — and use them as starting points to reach out to Hispanic audiences. In a survey, 70% of respondents said it was important that the websites they visit have content consistent with their cultural values. In the same vein, Hispanics are 88% more likely to pay attention to ads that incorporate elements of Hispanic culture, regardless of the language the ad is in. These findings aren’t exactly surprising given that the more germane an ad is, the more likely the target audience is to pay attention. 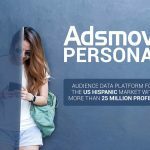 However, it does give brands a starting point for thinking about how they want to approach their Hispanic campaigns, as well as the opportunity to build cultivate brand loyalty amongst Hispanic audiences. One of the most frequent topics of discussion in the Hispanic space centers on which language to advertise in, and whether users are more likely to respond to content in Spanish. What I’ve found is that, while language is important, content is more so. On social media, U.S. Hispanics can often be found engaging in conversations involving sports, beauty, and food in both Spanish and English. That’s why it’s important for brands to utilize community managers who are multicultural and, preferably, bilingual, as that allows them to correspond with customers in the language they are most comfortable with — which then builds another layer of trust and intimacy between customer and brand. While internet usage on mobile devices is fairly high amongst all demographics, Hispanics, in particular, are more likely to access the internet via their smartphones. Between 2012 and 2015, the percentage of Hispanic internet users who used their smartphones to go online rose from 76% to 94%. In addition, 94% of Hispanic millennials say they use their smartphones to access the internet — which makes mobile a valuable channel for any advertiser looking to reach that demographic. Given these statistics, brands need to optimize their websites for mobile users. Beyond that, they should be looking for opportunities to connect with Hispanics via mobile channels, whether by sending ads directly to their mobile phones via proximity and geo-targeting technologies, or by creating mobile-first ad experiences to draw their attentions. People are often motivated to buy products based on a number of different factors and touchpoints. According to research conducted by Google, when researching products, 54% of U.S. Hispanics rely on the internet more than TV, radio or family recommendations. 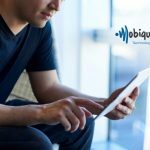 Hispanics are also more likely to turn to online sources, which means that brands should be dedicating a significant portion of their resources to digital media. Hispanics pay attention to online ads at a much higher rate than the rest of the population — a full 20 percentage points higher. Furthermore, 93% of Hispanics say that they have taken action (visited a website, looked for more information, made a purchase, etc.) after seeing an online ad. 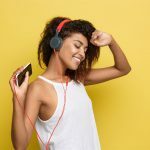 If you learn one thing from this article, let it be the importance of being culturally relevant to your target audience — a principle that holds true for every demographic. The language you use, the content you choose and even the placement of your advertisements should all be the result of careful consideration of the values that are important to your audience; only then will you reach them successfully.